Do You Have Lead Based Paint at Your Property? Lafser & Associates are leading environmental consultants with over 30 years experience and expertise in lead inspections, lead risk assessments, and lead-based paint abatement for commercial and residential properties, as well as for historic preservation / redevelopment projects. Lafser & Associates conducts lead inspections and assessments for St. Louis, Missouri and surrounding areas. Required for redevelopment projects receiving HUD financing. A Key component for MDNR Brownfield/Voluntary Cleanup Program (VCP) sites. Advised for residential property ownership transfer for homes built prior to 1978. 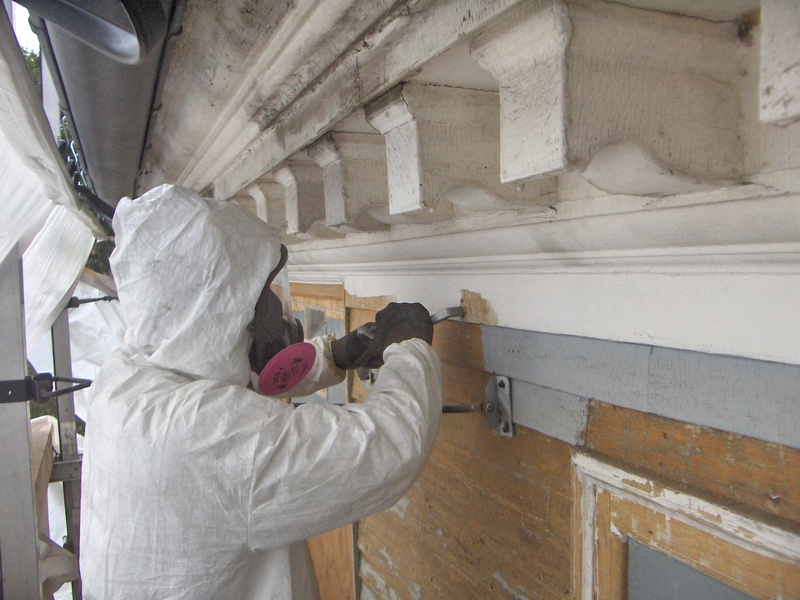 Necessary prior to renovations to comply with the Lead Based Paint Renovation, Repair and Painting Program Program (RRP) per EPA’s Lead Regulation (40CFR part 745 subpart E). Lead inspections measure lead concentrations on any painted surface and on any type of building substrate or material. Lead inspections can measure the concentration of lead, as well as the depth of lead on painted surfaces. Lead risk assessments differ in that lead measurements focus on identifying methods to control the hazards associated with lead-based paint to minimize exposure. Sampling for lead risk assessments is more comprehensive than for lead inspections and includes deteriorated paint surfaces, outdoor soil samples in areas of potential exposure, and dust wipe samples. Conducted for property owners to identify best alternatives to identify, minimize or remove lead hazards from a property. Valuable for rental unit property sales to assist with renovation plans. Trained and fully-qualified in lead inspection, lead risk assessment and lead-based paint abatement techniques. Maintain licensures with the State of Missouri and Illinois as Lead Inspectors, Lead Risk Assessors and Lead Abatement Workers. Utilize in-house lead measurement instrumentation (XRF) – X-ray Fluorescent analyzer capabilities. Have experience in all aspects of EPA, HUD, OSHA and Missouri Department of Natural Resources Regulatory Compliance and Reporting Methodologies, including development and implementation of work plans for lead-based paint remediation. Utilize independent EPA-approved laboratories, including NVLAP, Environmental Lead and Industrial Hygiene (AIHA), and NELAC accredited laboratories, for analytical testing.